Hans and I had the chance to do a quick raid to Chamonix this Easter. We left on Wednesday and went back home again on Monday. The conditions where quite good. 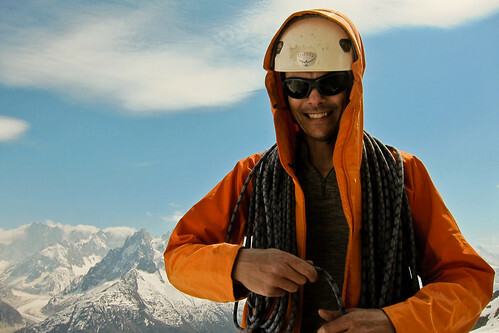 There was some foehn activity on the Italian side of the Massif, but we managed to do 4 good routes in five days! 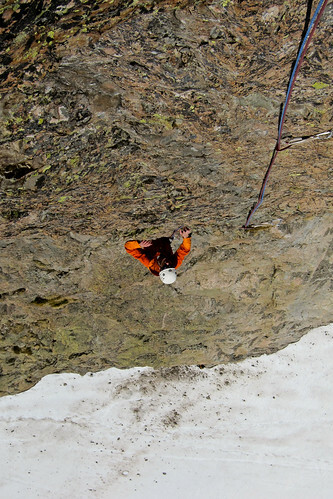 On Friday we went up to Midi to do some Rock Climbing on the South Face. 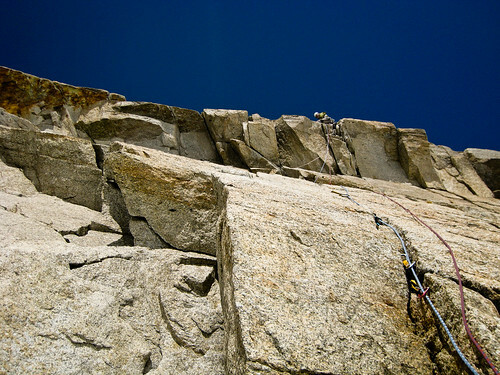 It was quite windy so we changed our original plan of doing the Kohlmann to the more moderate (but very good) Eperon des Cosmique (D+, 160m, V+) We had an outstanding day and despite the cold wind it was quite pleasant to touch the warm granite. We rapped of to the Cosmique hut after completing the climb. 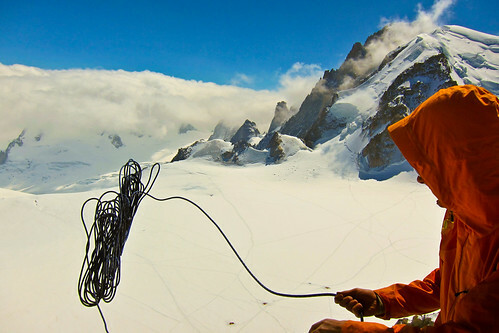 On the following day we wanted to climb the Contamine on Pointe Lachenal, but we woke up to a snowstorm so there was no rock climbing for us. All we could do was to make our way back to Midi and go down to the valley for some sport climbing. Four routes in in five days is not bad and I think our small trip was a success and even if we wanted to have climbed a bigger objective it’s just so good to be out in the mountains. Spring is here and we went climbing in Bohuslän!